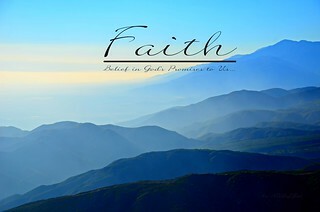 "We walk by FAITH, not by sight" ~ 2 Cor 5:7. 161 Believing in Jesus Christ and in the One who sent Him for our salvation is necessary for obtaining that salvation. "Since "without FAITH it is impossible to please [God]" and to attain to the fellowship of His sons, therefore without FAITH no one has ever attained justification, nor will anyone obtain Eternal Life 'But he who endures to the end.'" Bloggers are welcome to use, please link back to this image.